In An Iron Wind, historian Peter Fritzsche draws on diaries, letters, and other first-person accounts to show how civilians in occupied Europe struggled to understand the terrifying reality of living under Hitler. 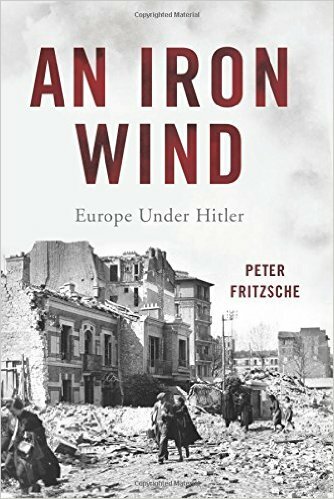 ...[a] riveting, important book ... An Iron Wind is the most bracing and unsparing dissection of the subject to appear in many years ... This is a fiercely unsettling book, demonstrating in every page the undiminished power of World War II to bring fundamental certainties into question ... This is a book about how people behave when a kind of moral plague sweeps through their world: some turn away from the afflicted, others hoard medicine for themselves, a precious few risk everything to render aid. It's a gripping performance. ...a profoundly significant exploration of how Europeans—both Germans and those under German occupation—struggled to make sense of the conflict by giving it some shape or meaning, or by simply accepting in the end that it made no sense ... The most thought-provoking and disturbing conclusion that he arrives at is just how swiftly under conditions of persistent crisis Europeans were prepared to abandon their commitment to a normative morality and to ignore, justify or endorse the persecutions and victimization that the German imperial authorities indulged in ... 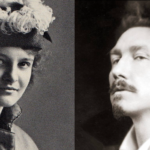 It is difficult to do full justice to the richness and range of sources that Mr. Fritzsche has unearthed. The book is very much a history from below, providing glimpses of the reality, but it reflects the way that many ordinary people experience catastrophe then and now. An Iron Wind: Europe Under Hitler” is a work of deep reflection by an experienced historian rather than an attempt to capture the history of World War II from any particular angle. Still, his announced theme — the moral challenges of the war for civilians in Europe — gives way at the beginning to set pieces on other subjects: the ones, the reader suspects, that Fritzsche finds most interesting. It is a pleasure to follow along ... Fritzsche patiently analyzes long conversations among civilians who had time to talk: the British on the home front, the French during the 'phony war' of 1939-40 and then under occupation. Even the Germans spent 10 years under Hitler before the war really hit home, and even German Jews, at least by comparison with other Jews, had a great deal of time to contemplate the Nazis ... This is a general problem with Fritzsche’s approach as applied to the East: Death came quickly, and in stupefying numbers, and to people who did not speak the Western languages in which the history of the war is largely written...to reach these interesting moments, Fritzsche has to send his Western Europeans east; and the perspective in question is always theirs ... His book is assembled from hundreds of quotations, and takes the form of a series of essays that only with a certain amount of generosity can be read as chapters. He makes no claim to have said anything in general about war and occupation. And yet, in the end, he has. What did you think of An Iron Wind: Europe Under Hitler?